These two are just so intense together! How can you not love these two?! DON'T SCARE US LIKE THAT, GUYS! And of course, they look super awesome together, with clothes or without. 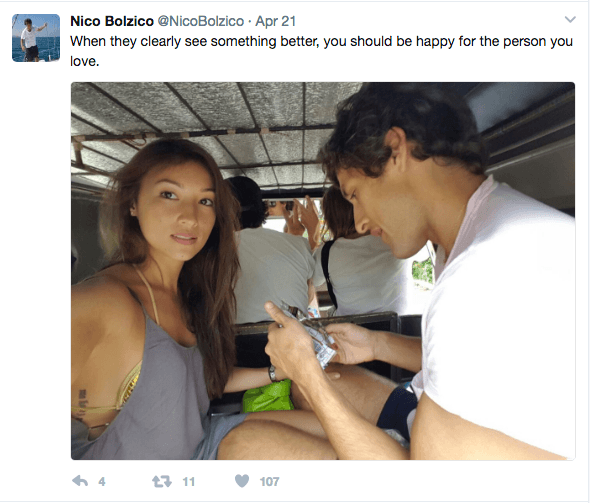 No wonder Nico and Solenn are the perfect new awesome endorsers for Cignal Postpaid! With seven postpaid plans to choose from and up to 32 HD channels with Dolby Surround Sound available, you're bound to get a TV experience that's perfect for your budget and lifestyle. Join Nico and Solenn and don't miss out on awesome with Cignal!